Exhibition Format: HD-CAM / Color / Stereo Mix. Shooting Formats: 16mm / HDV / HD. A moving canvas of water, soap, and wax. Washes explores the relationship of Los Angeles and cars through the documentation of six different carwash locations. 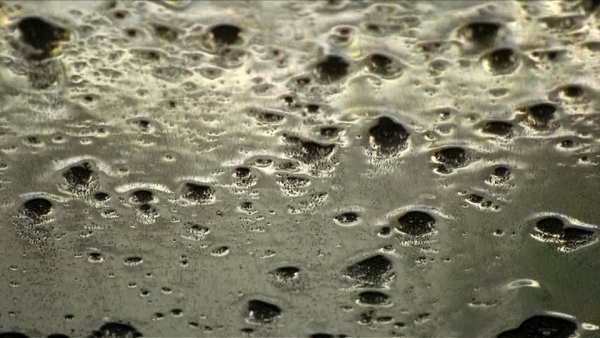 Filmed in a mixed media of 16mm film and HD video, each site is a recording from a fixed camera placed behind the windshield as water cascades. The lens focuses on the plane of glass and abstracts the background with a shallow depth of field. Passing cars, buses, and people are refracted by the water, creating colors, and textures on the surface of the glass. The mechanisms of the camera transform an everyday experience into flickering lights and shadows. - New York Film Festival: Views From the Avant Garde (World Premiere) - New York City, NY. - Ann Arbor Film Festival - Ann Arbor, MI. - Antimatter Film Festival - Victoria, Canada. - Australian International Experimental Film Festival - Melbourne, Australia. - Milwaukee Underground Film Festival - Milwaukee, WI. - Student Experimental Film Festival (SEFF) in Binghamton, NY. - Laughlin International Film Festival - Laughlin, NV. - Beijing New Youth Film Festival - Beijing, China. "Our perceptions vacillate between the literal – the concreteness of water, foam, light and glass – and the abstraction of illusion – the galactic vastness suggested by the ephemeral shadow play generated by continually refracting light." "Now Showing, the Edge: A Festival’s Calling Card"